Gill Sans: Pride of England? Gill Sans is the Helvetica of England; ubiquitous, utilitarian and yet also quite specific in its ability to point to our notions of time and place. As a graphic designer’s in-joke once put it ‘Q. How do you do British post-war design? A. Set it in Gill Sans and print it in British Racing Green’. 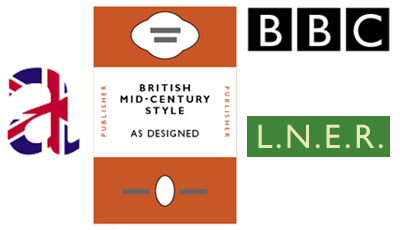 As the preferred typeface of British establishments (the Railways, the Church, the BBC and Penguin Books), Gill Sans is part of the British visual heritage just like the Union Jack and the safety pin. Icons of the British mid-20th century. So to pick an argument with something that is akin to a typographic national monument might appear unwise; it is so very much ‘ours’. But it is a flawed masterpiece. How flawed? Well, monumentally flawed, in fact. In 2006, now that Gill Sans is distributed freely with Apple’s OS X and Adobe’s Creative Suite products, it is time to re-examine those flaws. Ever since Gill Sans was incorporated into the Adobe/Linotype library in the early 1990s what used to be Monotype Gill Sans became GillSans. The new compound name and the missing foundry attribution serves to distance today’s users of this type from any awareness that Monotype used to issue Gill Sans in a range of different series with alternate cuts. Readers with experience of metal and phototypesetting may recall this system, but for now, the majority of us only have this ‘bundled’ version of GillSans to go by.